Grzegorz Radziwonowski passed along the following notes from last night’s annual public meeting re service improvements. * The people who came to the meeting are much more unhappy with the 504 King Streetcar than with any bus, streetcar, or subway route. * There continues to be a dislike. 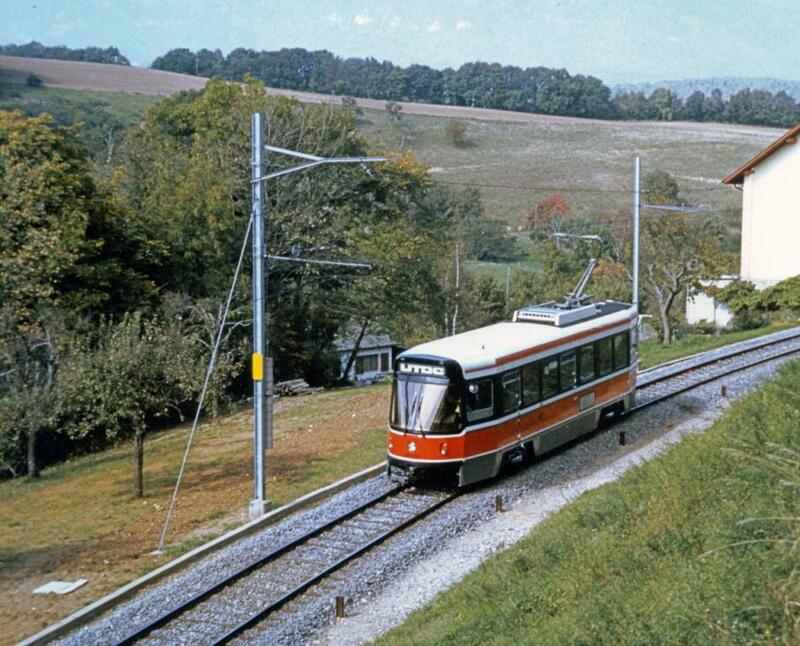 at times hatred, of Transit City, LRT ROWs, and Streetcars in general. 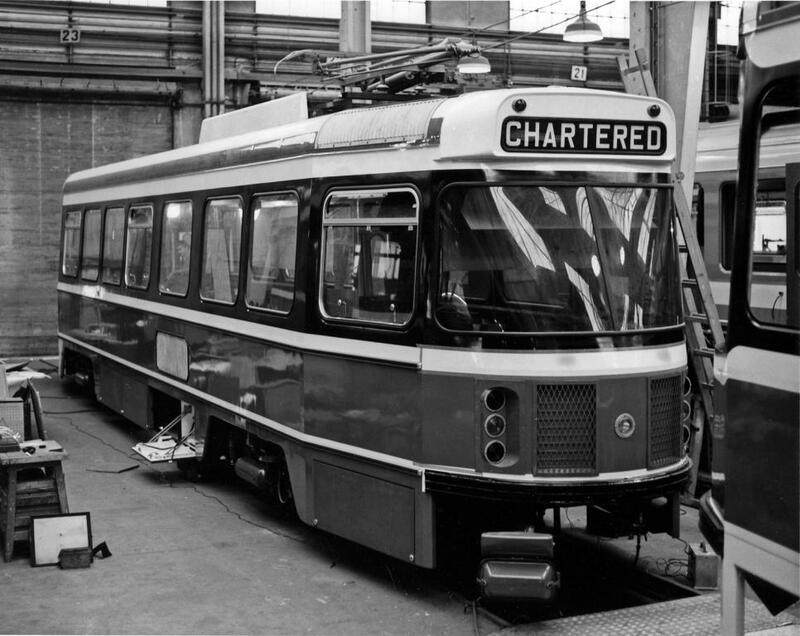 Many people were proposing the TTC put in Electric Buses (Trackless Trolleys) in the Transit City ROWs, rather than Streetcars. * At least 3 people were talking about the 30 Lambton leaving High Park Station 4 minutes early during the evenings. * Apparently buses are to be a part of a second phase of Transit City; however, no further details were given on this. * When I spoke to some of the TTC planners, they currently want to renovate Bloor-Yonge Station by adding the second (Eastbound) platform at Yonge Station. * While speaking with planning staff, I also found out that minibuses were unfeasible because the biggest expense would be to pay the drivers (which would be from ATU 113), and that that cost would outweigh any benefits the TTC might gain from reduced fuel costs. They also told me that while they really want Articulated vehicles, they have yet to find one that meets their criteria (I have yet to find out what exactly that criteria is). * A lot of people wanted either the SRT or 21 Brimley to be extended until the last B-D train arrives at Kennedy. Many of these same people want 133 Neilson to have an express branch, running to Scarborough Town Centre, preferably via Highway 401. Other smaller issues were raised, but I really can’t list all of them. I only listed either reoccurring ones, or one that would affect Transit for all. I can’t help feeling sadness and despair that the TTC has done such a thorough job of making streetcars unpopular. We don’t have enough of them. The TTC is better at finding excuses for poor service than actually making cars run reliably. Nobody believes that the Transit City lines can be built quickly and cheaply because the counterexample of St. Clair stares everyone in the face. The really big problem with minibuses is that they don’t last anywhere near as long as a full size bus, and the cost over a comparable lifespan can actually be higher. This depends, of course, on assumptions you make about what is “equivalent”. The labour issue is a red herring, but is a convenient excuse the TTC can trot out to avoid discussing the issue. They already operate several “community bus” routes, and labour costs on these are lower than on major routes because the crews are off-peak work which tends to cost less to operate. Artics, needless to say, are intended for a completely different type of route. The Atheist Bus Campaign reports that the TTC has approved the text of advertisements suggesting that “There’s Probably No God”. This campaign has stirred controversy in the U.K. where it first appeared, but at last report the island kingdom has not sunk beneath the waves. Before anyone starts blasting my site with a bunch of religious drivel, no matter what your persuasion, don’t waste your time. It will be deleted mercilessly. I take the Old Testament approach to smiting, and there will be much smiting if you readers don’t toe the line! For my own part, my view of immortal forces owes a lot to sundry polytheisms, and not a little to the novels of Terry Pratchett where the gods are a bunch of quarrelling, self-centred and not always competent folk rather like what passes for senior management in any organization. Whether they exist in an absolute sense we will never know. One hopes that things like the Scarborough RT were the product of a god-in-training who could never get things to come out right, but wrote a lot of impressive reports for the big guy upstairs in the hope that he would never actually ride the thing. What intrigues me is that these ads come to Toronto with comparatively little fuss, although that may come once they start appearing and word gets around. If anything, this should be a big yawn, just one more sideshow in our wonderfully diverse city. Wednesday saw a long debate at Toronto Council on the Yonge Subway Richmond Hill extension. As I write this (January 29, just after midnight), I do not have all of the details of Council’s final decision. Council has requested a study of the Downtown Relief Line. Some Councillors used the debate as a springboard for attacks on the TTC’s project management costs and proposals for private sector participation. Council agreed that Transit City is the top priority for transit spending. I find myself in the unusual position of being part of a wave of advocacy for the DRL, a line that will almost certainly be a conventional subway. If this seems odd, my reasoning is that we must look at how the network operates as a whole. The core of the network needs more capacity, and jamming more people into the existing Yonge line (getting more out of existing infrastructure as the TTC so delicately puts it) is irresponsible and possibly reckless. If the studies that really need to be done emerge, we will look at both TTC and Metrolinx plans, and question what will work best for the core area, the outer 416 and the 905. Both agencies have much to answer for in their shortsighted, misleading planning and their inadequate evaluation of alternatives to network structure and staging. As details emerge, I will add to the information here. Tuesday’s budget announcement from Ottawa didn’t surprise me one bit in virtually ignoring transit as a focus for economic stimulus. Many cities may have a backlog of transit projects they would love to see funded, but most of these projects are well beyond the horizon of what we hope will be a modestly short recession. Transit needs explicit, ongoing funding, not more one-off handouts because of an economic crisis or an MP/MPP with constituents to please. Ottawa may come to the table with that some day, but Finance Minister Flaherty seems happy to crow about the gas tax and the GST rebate as if they were new money for cities. They’re not, and the GST isn’t even vaguely linked to transit spending as one might hope for the gas tax. Wednesday morning, we heard Flaherty on Metro Morning proclaiming that we would “finally” renovate Union Station to expand capacity. The tone was of a long-suffering parent finally making good on their offspring’s profligate ways. Someday, when the Finance Minister has more to do than announce trains for his riding (a proposal that seems to have dropped from view), he might learn that the City of Toronto and GO Transit are already partners in the Union Station renovation. The details of this have been available on the City’s website for months. “Now we’re going to take the lead Federally” says Flaherty to expand capacity at Union. Some lead. The feds will kick in $75-million, of which $25-million has been on the table snce 2000 as a pledge from Parks Canada for heritage restoration. The total project is in the half-billion range (details will come out in a few months), and Ottawa’s contribution isn’t even close to the 1/3 level of funding everyone talks about for these partnerships. For that contribution, Ottawa claims that this is now their project. As usual, Flaherty dragged out that old chestnut about how if only cities (for which read “Toronto”) would manage their money better, all would be well. Partnerships with the private sector would bring efficiencies and savings. That record was broken months ago, and playing it again shows just how bankrupt the Tories are for real ideas. We thank Mr. Flaherty for his $75-million, but hope that we actually see the money rather than endless bureaucracy to bless funding requests. As for Flaherty himself, his attitude shows that the finger-in-your-eye style of November’s laughable financial update is alive and well in Ottawa. Maybe he should be parked in a refurbished RDC in Peterborough waiting for the start of service to Toronto. Earlier in the same program, I spoke about the budget’s implications for transit in Toronto. My theme was the need for Toronto and Queen’s Park to stop linking transit plans to federal funding that never arrives. If an enlightened government someday appears in Ottawa, the real need will be to increase dedicated, ongoing funding such as the gas tax, not project-based schemes that generates fees for engineers, consultants and bureaucrats in grant applications, but little real work. Queen’s Park and Metrolinx dodged the whole issue of funding their regional plan. No money will actually appear on the Ontario’s books until lines actually open, and the cost will then be treated as a mortgage, an ongoing debt to be paid down in decades to come. Metrolinx, likely under Queen’s Park’s orders, played along and left the issue of revenue to pay for all this for the future (beyond the next election). To its credit, the Metrolinx Board takes a more active stance, and the debates about road tolls, regional sales taxes, or any other alternatives will come sooner rather than later. If we’re going to commit billions in debt to build all of this infrastructure, we need to commit revenue sources to pay the bills. Assuming that natural economic growth will magically make the problem go away is a bankrupt policy as we see in every newspaper and every economic forecast. Life is suddenly much harder for transportation Pooh-Bahs, and they will have to make hard decisions about where to spend money. It’s easy to put big maps up on the wall while an appreciative crowd oos and ahs about their new transit network. All those big announcements are a lot smaller than before, and the shortcomings in many plans will be glaringly obvious when we can’t pay for all of them. Trade-offs and careful study are needed, and that takes more than a superficial road show. Much energy will be wasted in coming months figuring out how to change Ottawa’s mind. That may bear fruit in the long run, but we must start thinking about the alternatives. We cannot put off forever building lines we have needed for a decade or more, and we must decide how, if Ottawa won’t help, we will build a network we can afford. Metrolinx has launched a study of substantially increased rail capacity in the Weston Malton corridor to serve the growing demand on several lines in the northwest as well as a Union-Airport shuttle service. For further information please refer to the Metrolinx project homepage. There will be six public meetings between February 3 and 12 in various communities. Worth noting is the timetable which includes several months of consultation, then the formal assessment of the proposal and public comment. Mike Sullivan from the Weston Community Coalition has provided the following information about proposal. From a meeting with Metrolinx Chair Rob MacIsaac, Mike has learned that three tracks are to be added between West Toronto Junction and the Airport, four tracks from the Junction to Union. The tracks on the CN only (not the CP) will be in a trench through Weston, and this will be covered (ventillation will obviously be an issue with diesel trains) from just northwest of Church to just southeast of King. The John Street crossing just north of Weston Station will be closed and replaced with a pedestrian bridge. Air-Rail Link trains will stop at Weston Station. The crossings at Strachan Avenue (west of Bathurst) and Dennison Avenue (about .5 km south of Lawrence) will be grade separated. Some land expropriation is likely both for the grade separation at Dennison and at the north end of Weston. Service to Brampton will be every 15 minutes all day long in addition to the airport service and other trains in the corridor.